Your Country House in Town. 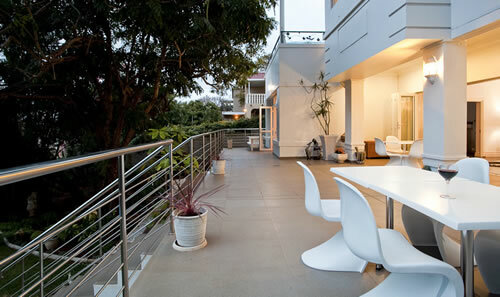 Situated in the exclusive area of Upper Durban North, The Grange was one of the first BnBs in Durban. Being a house with a history, no two rooms are alike, each offering their unique features and most have at least a part sea view. Enjoy breakfast on the spacious modern patio with views over the lush subtropical garden, pool and out to the ships off shore. We offer family friendly service, we are also 4 star rated and AA Quality approved. We are a home from home experience for our business travelers, and our location is perfect for a holiday in our beautiful City of Durban.